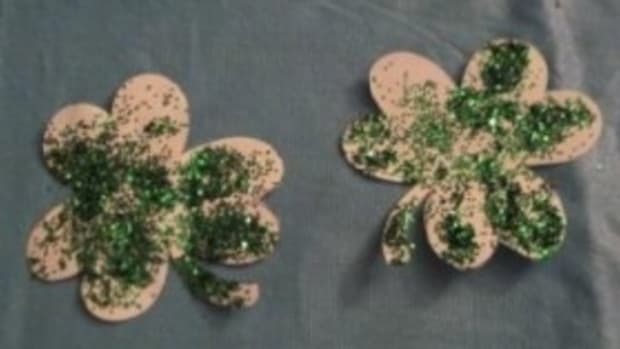 Here are 9 easy crafts for the kids to make to create some festive cheer! 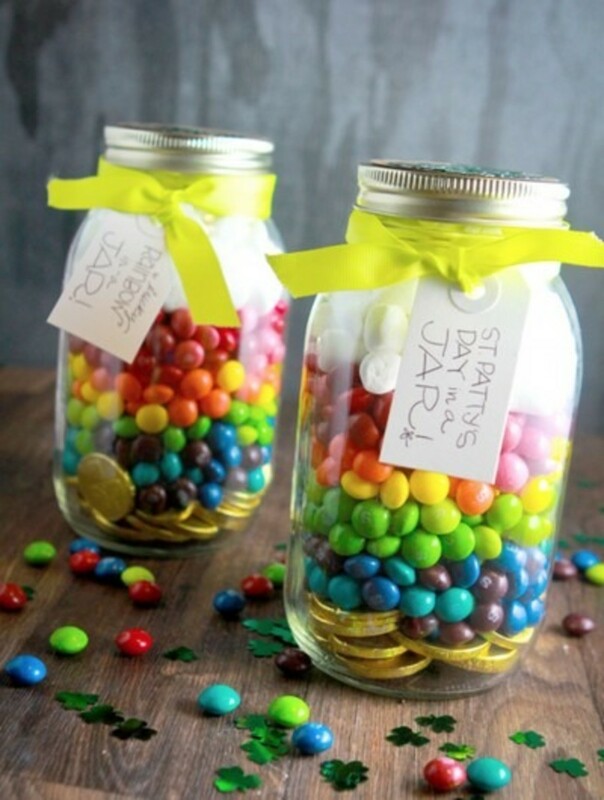 Wouldn’t this be the best prize after a scavenger hunt? 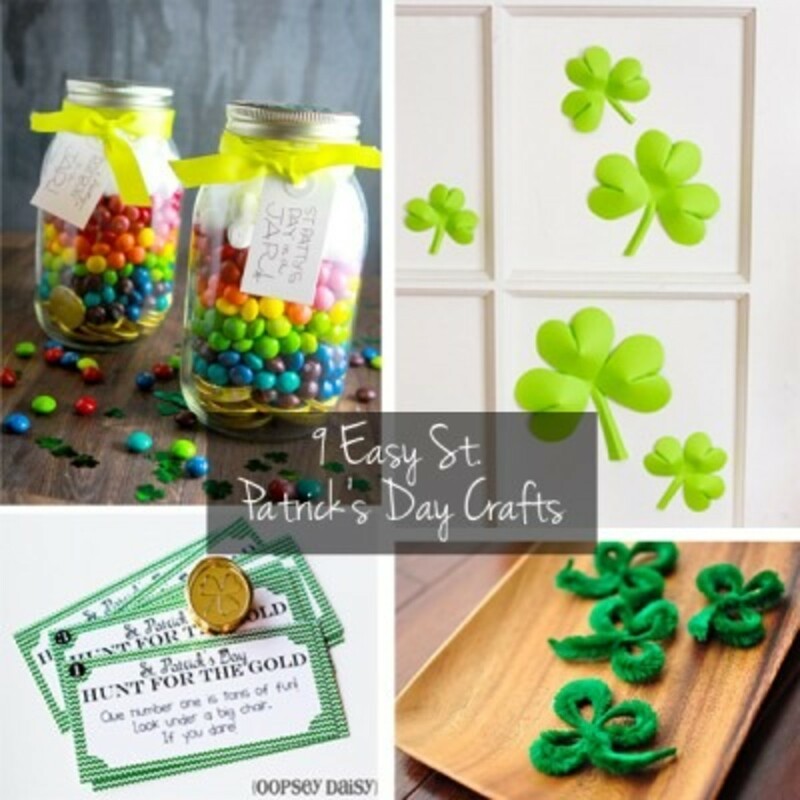 Love these St. Patty’s Day In A Jar from Babble. 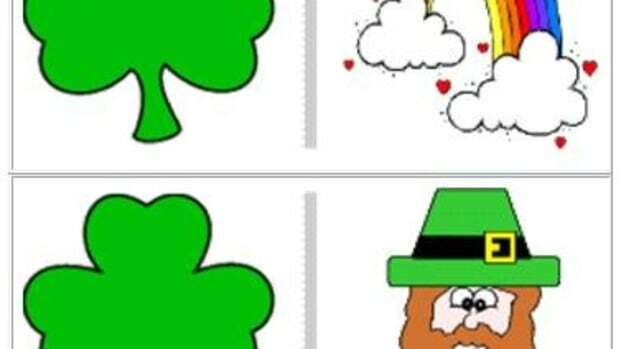 Need some help with clues for a St. Patrick’s Day Scavenger Hunt? 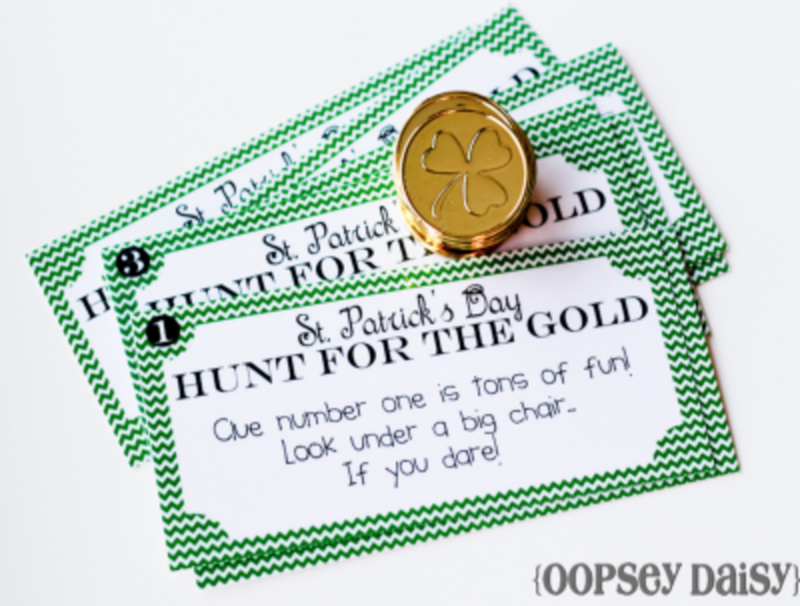 Oopsey Daisy has you covered with these FREE printable clues! 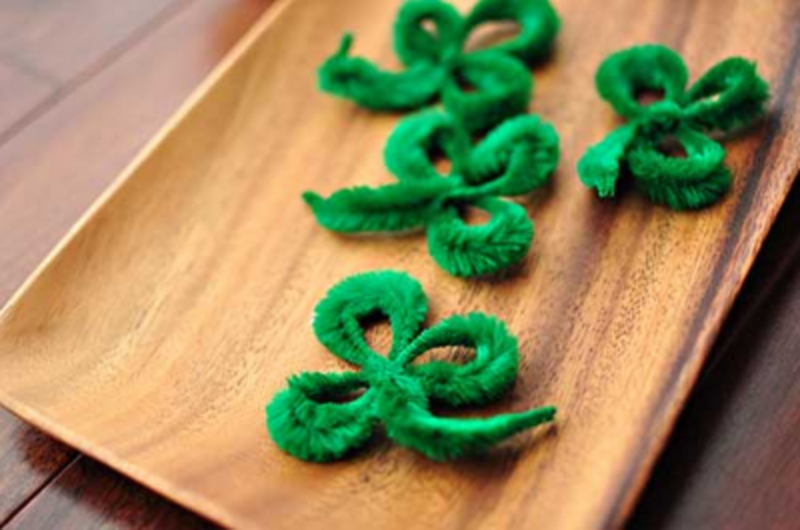 Love these Shamrocks made out of pipe cleaners from Crafts Unleashed from Consumer Crafts. 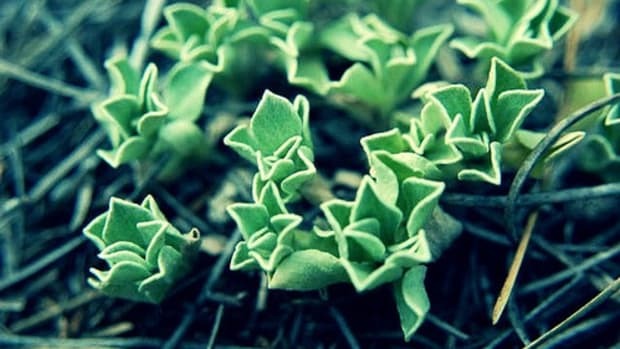 I’m dreaming of a shamrock banner made with these! 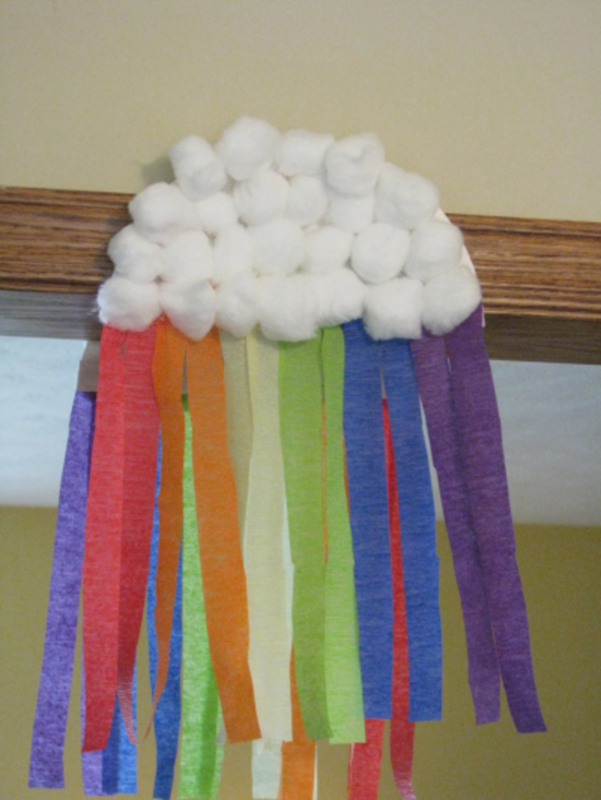 Here’s a great one for little hands…a St. Patrick’s Day Rainbow and Cloud from Everything Except The Grill. 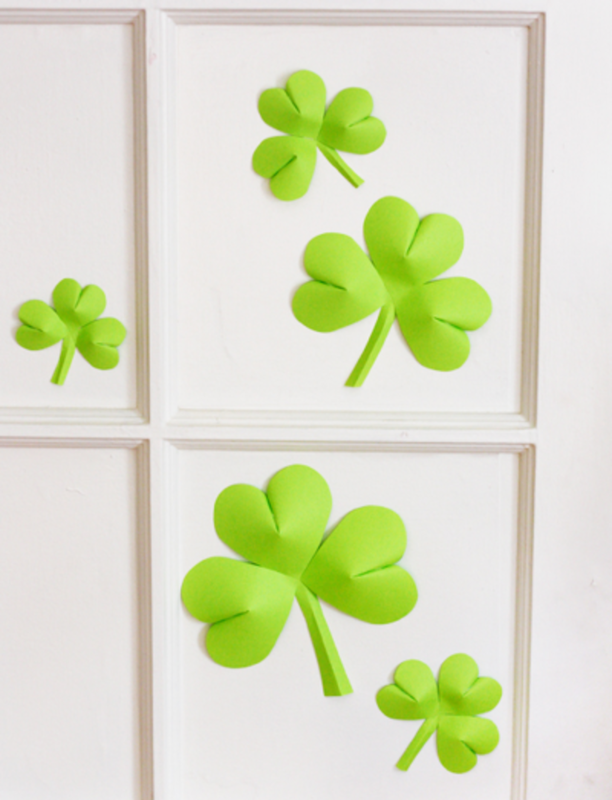 LOVE these 3D Shamrocks from How About Orange. 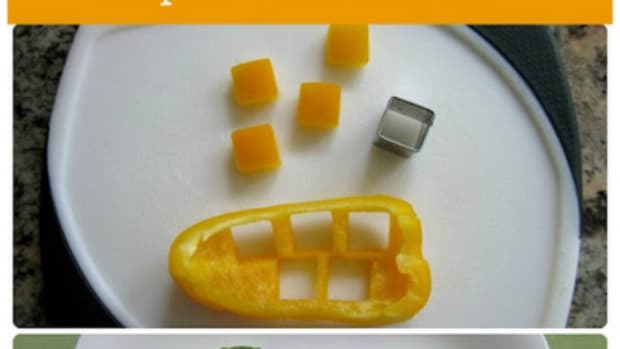 All Kids Network has a great idea using pasta! 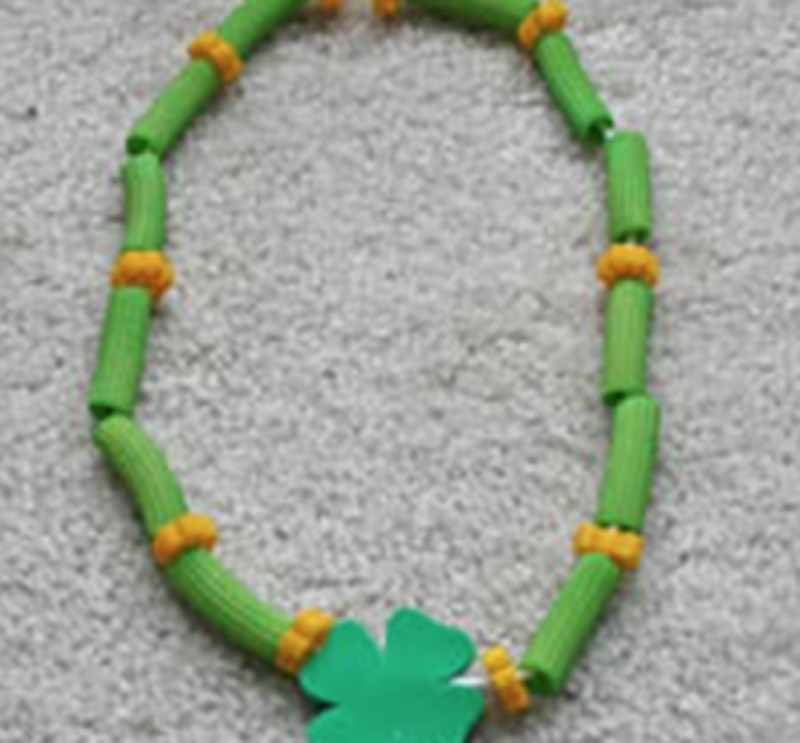 Let’s the kids make a St. Patrick’s Day Pasta Necklace to wear! 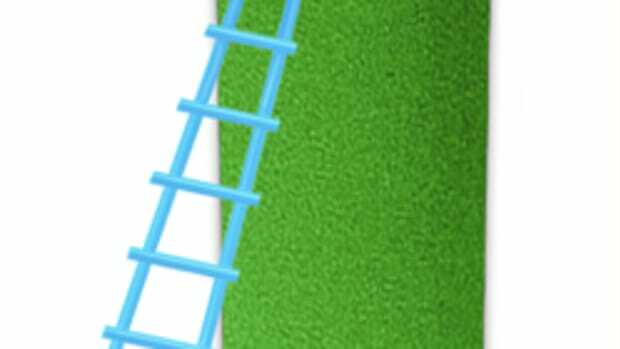 My Kid’s Guide has a great idea. 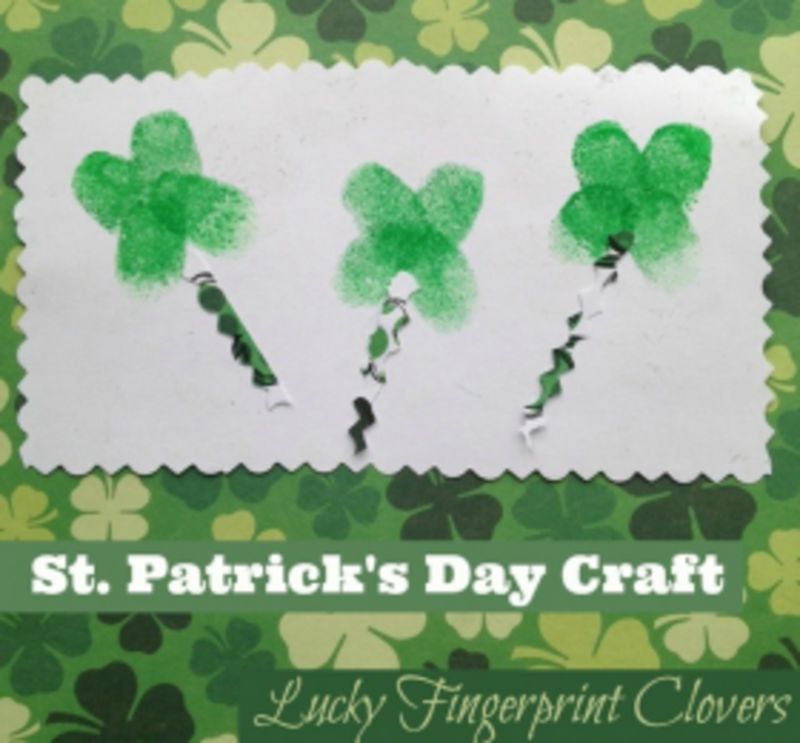 Get those cute fingerprints in ink and use them to make some Lucky Fingerprint Clovers. 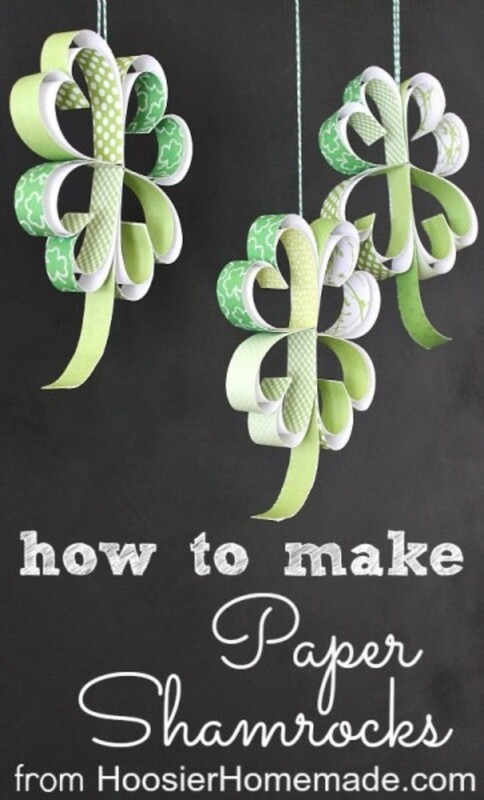 Paper Shamrocks hanging around the house would look great for St. Patrick’s Day. 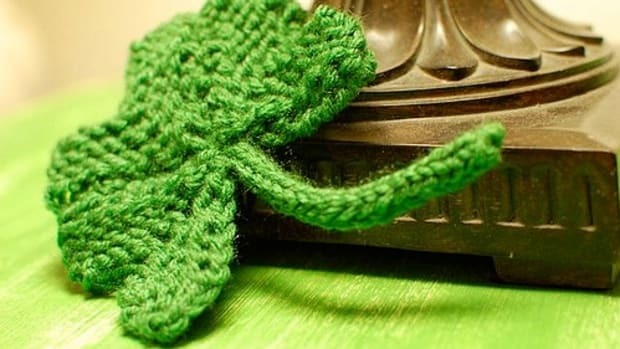 Great idea Hoosier Homemade! 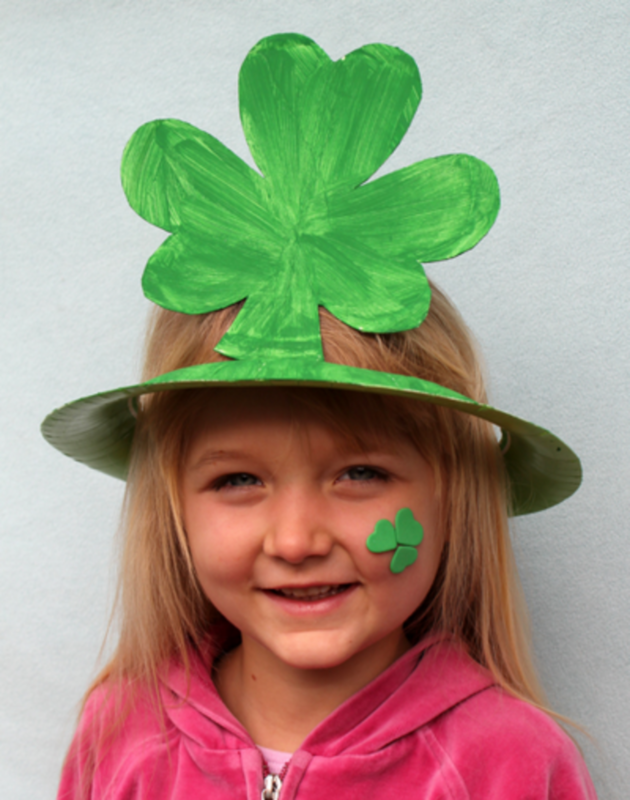 How cute is this Shamrock Hat from Alpha Mom!